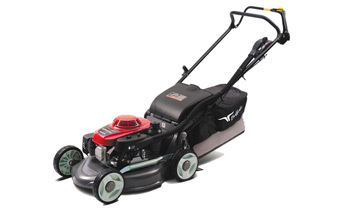 All the benefits of Honda’s superior engine technology at a very affordable price, the all new HRU196M1 Long Range (Engine Brake) is ideal for medium lawns & the serious contractor. The HRU196M1 PWUX features an advanced and compact 4-Stroke technology engine that delivers outstanding power, torque and fuel economy. The GXV160, 4-Stroke engine uses a durable cast-iron bore and being a 4-Stroke engine means you no longer need to mix fuel and oil again. Not ony does the "Long Range" Buffalo have a larger catcher bag than the original HRU196M1 Buffalo Classic, it also has an improved chute for easy use. With a 10% larger catcher bag you will spend less time emptying the catcher bag, and more time mowing!